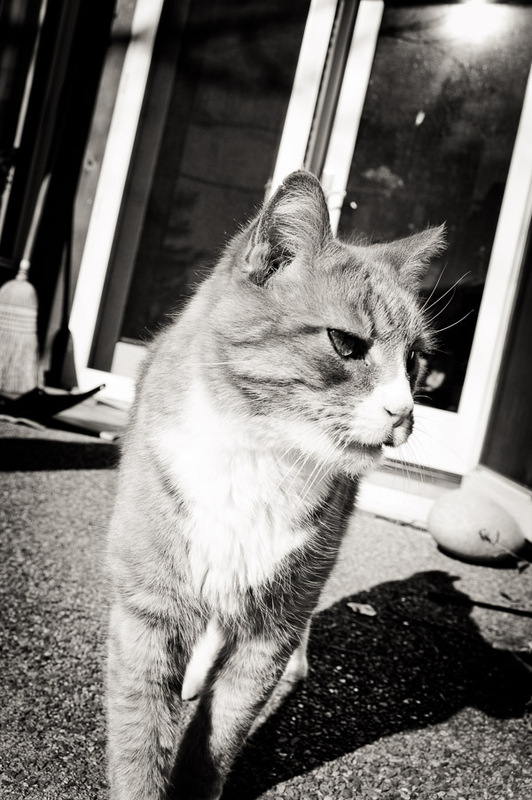 black and white photo of a tabby cat. In honor of this, World Snake Day (who knew? ), I am sharing these Throwback Thursday photos of one of my lovely Carbondale families.One of the things you encounter as a family photographer is the family pet. I try to involve pets in my photos because pets feel like members of our family. While most people don't bring their cats to a family photo shoot, I always try to include a few pictures of pet cats if I have a chance to visit a client's home. I really love having the opportunity to photograph families with more unusual pets like chickens, horses, or goats. Certainly my most unusual family pet experience was with a family who loves snakes. In addition to their lovely tabby cat, they probably had more than ten different snakes in their home with an entire area dedicated to snake enclosures. Woman and girl posing together with snakes. Man's hand and a snake with tongue poking out. Hands holding orange, black, and white pet snake. Artistic photo of snake and hand. Willy Wilson is a family photographer serving the Denver metro area and Carbondale, CO. If you are ready to include your pets in your family photos, Contact Me!